Hello guys, Here we were facing a small confusion among the USSD Codes of other operator and USSD Codes of Vodafone. 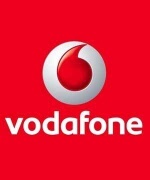 As Vodafone network is unique but there is a problem with the USSD codes and with the USSD we can do Vodafone balance check, take a loan, check special offers special offers, last 5 transactions. If you are using Vodafone network sim then these Vodafone network USSD codes may be helpful for you. As we are already placed the article about the Airtel USSD codes now it is for Vodafone and guys I’m placing the commonly used and most used USSD codes for Vodafone network. Check Airtel all USSD codes. Because of these USSD codes, we can and we can use these in our non-android phones, and all basic mobiles too. You all know only some of the USSD codes for your mobile number and you don’t many of these. Below I have placed the commonly used USSD codes for Vodafone network look at them to check how many you in the commonly used USSD and after that we go through all others. These USSDs codes are used to know the balance in a shortcut mode, and we can use it in non-rooted and rooted Android mobiles, and we can use it also in non-android mobiles. That is the reason to use this USSD codes more than apps like true balance to check the balance. These stands for unstructured supplementary service data it just works as like protocol, and it is filled with most of rules and instructions and if and only if we can use it having with a particular code of your selected operator. If someone blocks me on wWhatsAppunblock myself ??? True balance is an application to check the balance of our number by logging into it by giving the simple permission. Just download it and sign up it with your mobile number by selecting your operator. Allow permission to read, and in this app, we can make the groups like family and friends and we can share balance easily from one mobile number to another mobile number without any issues very easily. We can check the balance of them also by adding them into our group. Instead of downloading that app we can just simply use these USSD codes to check about all. Because many people are not using the Android for them it is very good to use I their phone also and you make all them and get benefited. May check run dual whatsapp in an android phone. 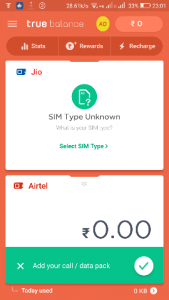 So, guys, I think I have placed all the USSD codes that we were using in our daily life so you also make use of this Vodafone codes and get benefited and make your friends to know about them and they also get benefits. And if you have any problems regarding this post just feel free to comment below so I will solve it. Thank you stay tuned for updates.